Leah devoted her life to loving, supporting, and serving others. Even in her last days, she encouraged with her words and lead by her example. The number of lives she has touched is astounding. It's is our wish to continue her legacy, so we have created the Leah Wilkinson Memorial Fund. We will advocate for and support those who she supported. In lieu of flowers we ask that you make donations to this cause. In April 2017 Leah was diagnosed with stage 3 breast cancer. Later that year we learned her cancer had spread to her other breast. She had a double mastectomy and was cancer free. Unfortunately, in May 2018, we found out her cancer had spread to her brain, colon, and stomach. She was experiencing immense pain and numbness, so she was brought the ER and admitted to the hospital May 5th. A few days later we were told that her cancer had spread to her spinal fluid, which was causing the symptoms she was experiencing. On May 10th she was placed on inpatient hospice. From the day we found out, Dylan wanted to donate his hair to help others fighting the battle of cancer in honor of her. On May 3, 2018 he was able to do that, and what a blessing it was. All proceeds given to the Leah Wilkinson Memorial Fund will be used to help local cancer patients in need. It will help us do a number of things including buying wigs for cancer patients, supporting families battling cancer financially, continuing her cancer support group, and so much more. How can you keep up with what we're doing? 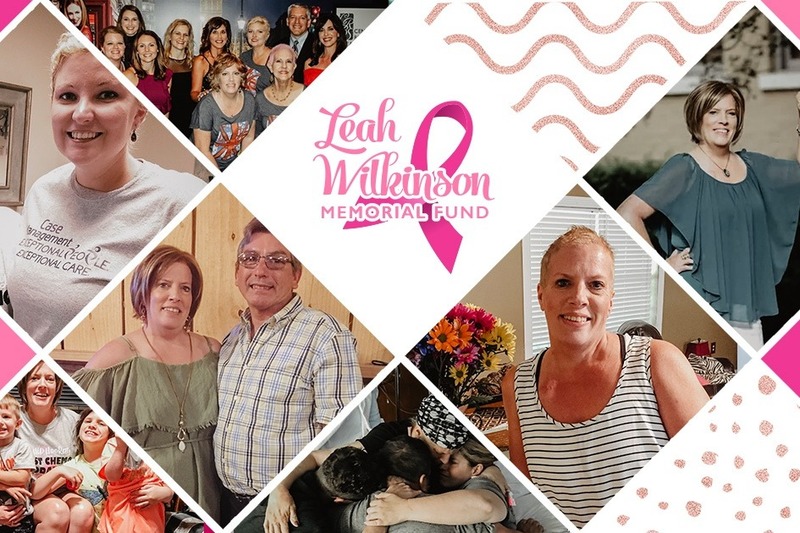 We've set up a Leah Wilkinson Memorial Fund Facebook Page where you can keep up with all the great things you're helping us accomplish.